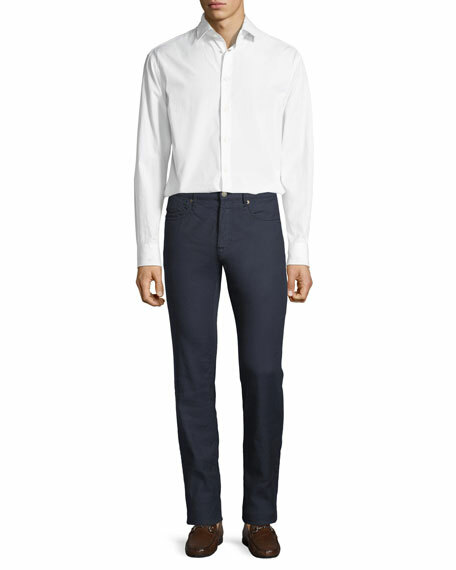 Incotex chino pants in washed stretch-twill. Standard fit features normal rise, flat front, and straight leg. Extended button-tab waist, belt prong keeper loop, belt loops.